← Single Card Tarot Reading – November 24, 2013. 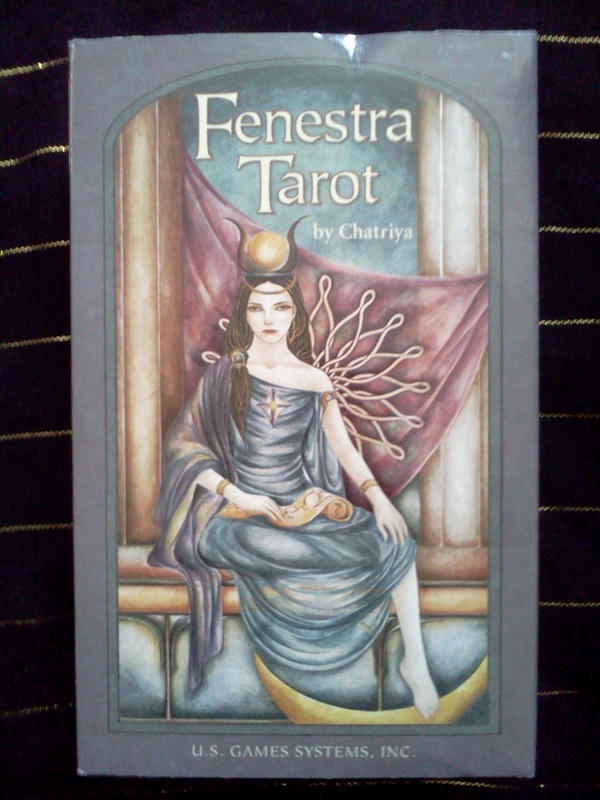 I just purchased the Fenestra Tarot by Thai artist Chatriya and I wanted to tell you all about it. I would consider this a rather obscure deck, I had never even heard of it until Kate from Daily Tarot Girl used it in one of her readings. It was love at first sight and I immediately spend hours researching it online. I think the reason that I connected with it so quickly was that I really loved the style of art. Chatriya blends elements of Egyptian, Manga and Art Deco together to make an incredibly romantic and emotional deck, that I just can’t help but adore. Now lets look at the deck in detail. I got the premier release edition which came in a large box, with a smaller box inside containing the cards and the little white booklet. In the larger box there was also a fold-out “Ancient 10-Card Tarot Spread” which was basically a Celtic Cross, with some general instructions on doing tarot readings. Oddly enough the art on the insert actually looks like it belongs with the Hanson-Roberts deck. Anyway, I would recommend getting a good beginner’s tarot book, rather than use the insert or the little white book at all. I liked the size of the cards, the deck fit in my hands and shuffled well. The card stock seemed the tiniest bit flimsy, but I would prefer that over very thick cards, which are almost impossible to riffle shuffle (I love to riffle shuffle, so that’s a must for me. Riffle shuffling, if you aren’t familiar with the term, is the classic way you see people shuffle a deck of playing cards.). 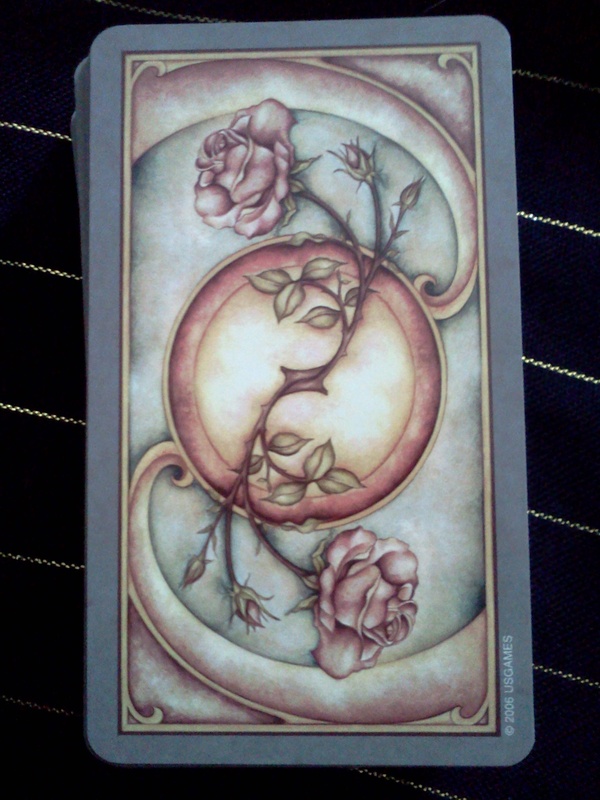 The card backs feature a beautiful rose motif in a yin yang shape. The design is symmetrical and would be perfect for reading reversals except that our dear friends at US Games stamped their trademark on the bottom right hand corner. I don’t read reversals usually, so I would rather have the stamp there than on the card faces themselves. (One of my biggest complaints about the Universal Rider-Waite-Smith deck is the distracting stamp on the card faces.) For those of you that like to read reversals, this could be problematic, so its a good thing to keep in mind. The art on the cards are rendered using a lovely pallet of dusky colors like rose and sepia. I despise cards with white outer borders and I was ecstatic that there were no white borders to be found here. Instead, the outer borders are a dark beige that blends right in with the rest of the card and is not distracting or visually glaring. The deck follows the standard Rider-Waite-Smith system and the illustrations retain the same basic elements, which makes this deck easy to read if you have learned on that type of deck. One things that I do dislike about this deck is the differences between the Major and minor arcana cards. The Major arcana have a more elaborate inner border, which leaves less room for the actual picture and the pictures do seem quite small and underwhelming. 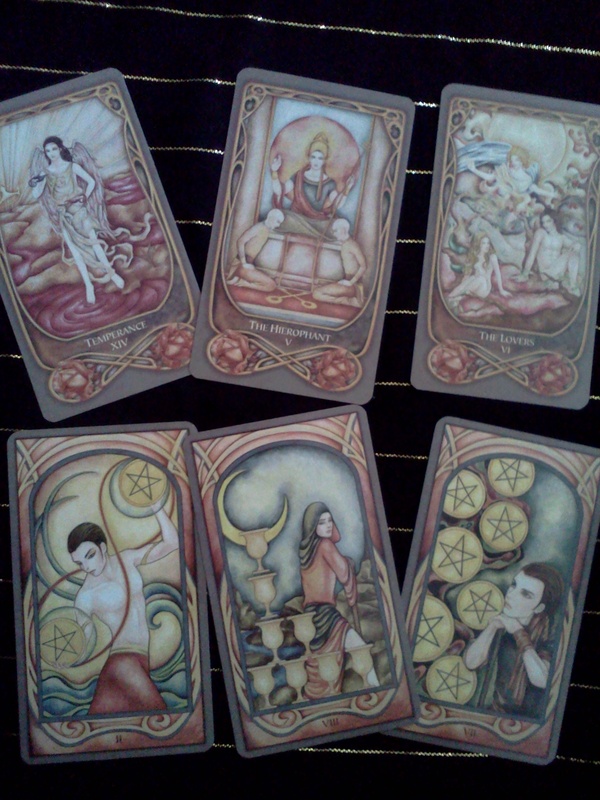 Also, the images of the Major Arcana are softer and have a more watery, less crisp appearance. This isn’t by itself bad, but when you compare them to the minor arcana, which have sharp, clearer lines, it looks washed out. 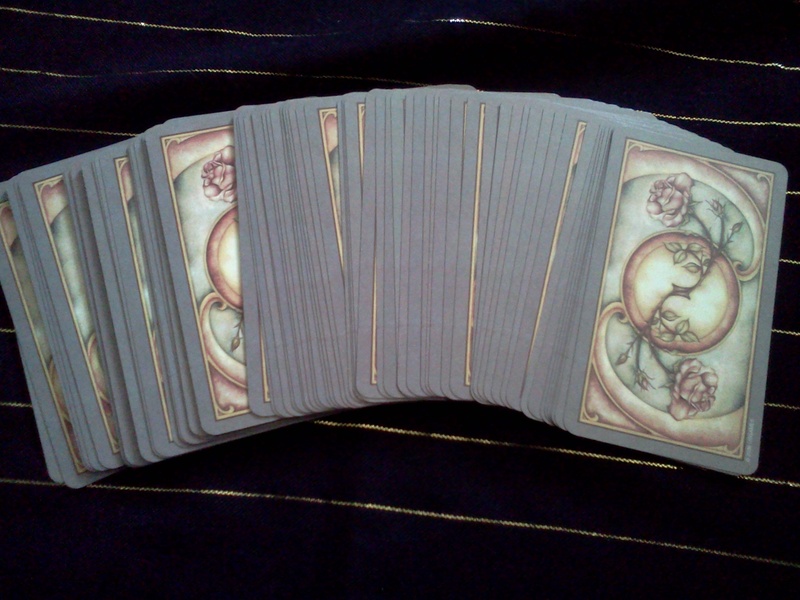 The minor arcana also have a smaller inner border, with more space for the card art. Since the card art of the Major cards look smaller and the card art of the minor cards look larger, visually, the minor arcana strikes me as more important, more intense, more powerful, when the Major arcana should evoke those kinds of feelings instead. 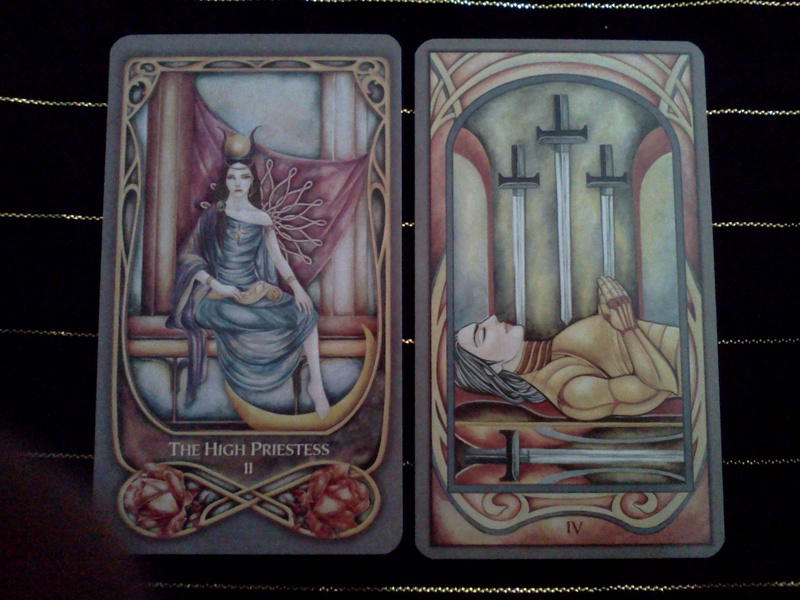 Additionally, when you place the Major and minor arcana side-by-side they look like two completely different decks by the same artist, using the same palette. 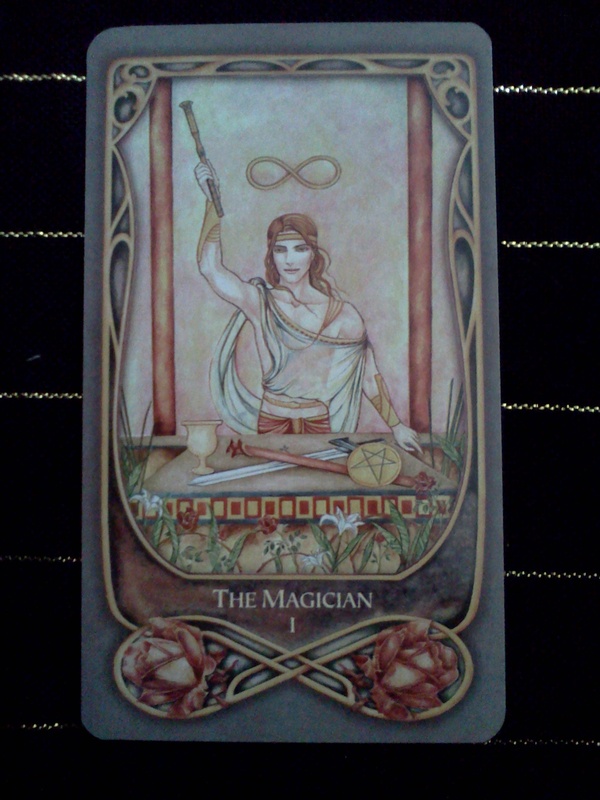 This really takes away from the overall cohesiveness of the deck and sadly throws me off during readings sometimes. If I didn’t love this deck so much overall, that would definitely be a deal breaker. I’ve considered using this deck for separate Major Arcana only or minor arcana only readings, but splitting up a deck like that never feels right to me and I really want to use this as one of my primary decks. Somehow, despite this one rather glaring flaw, I find that I still connect with this deck very well and look forward to using it in the future. 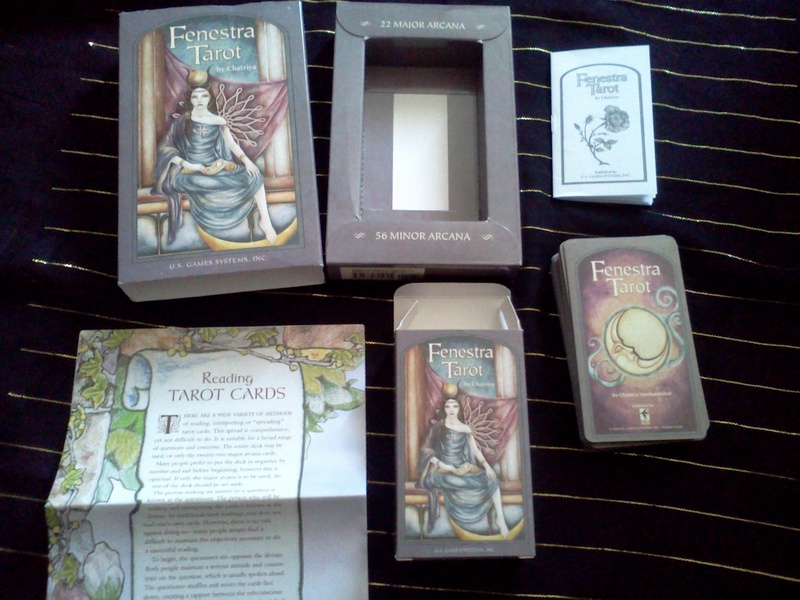 You can view the entire Fenestra Tarot deck at Tarot.com (Be warned, this site does generate pop-ups.) though their images are a lot darker in color and clearer/sharper than the actual cards are. If you have a copy of this deck (or even if you don’t) I would love to hear your thoughts. Thanks Ellen, Its been a great deck to work with. I tend to be more put off by art I dislike than anything else, so as long as I can connect with the images, I can ignore a lot of other discrepancies. 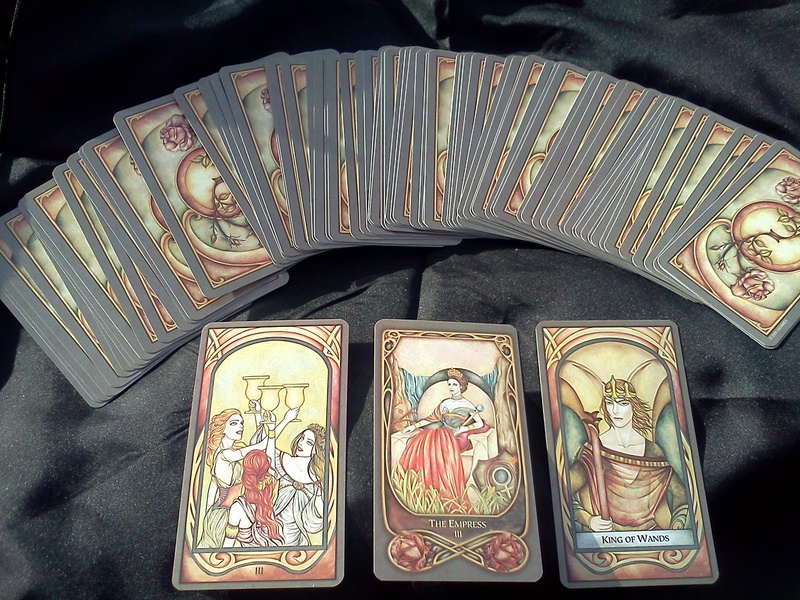 My first deck was actually an independently published collaborative deck called The Collective Tarot. With over 20 contributing artists, images were all over the place in terms of color palette and style, but I liked all the cards pretty well, so it didn’t bother me too much. Which deck/s do you like/connect with the best? The Wildwood Tarot looks quite interesting, very dynamic and colorful art. I can see why you like it. The Fairie’s Oracle is absolutely gorgeous.